One of the pinnacle of Transformers fan would be TakaraTomy Master Piece series and the cream of the crops would be none other than Optimus Prime. The TakaraTomy Master Pieces series started in 2003 and the first on the list was Optimus Prime MP-01. It was built for size and the focus was the G1 figure features. It was an instant hit among the Transformers fans even though it was at 10,290 YEN ! Three years later, TakaraTomy release the complete version which comes with the trailer. 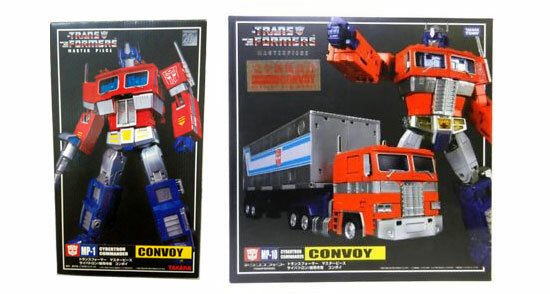 They named it as MP-04 Convoy Perfect Edition. This edition was released in year 2006 at the retail price around 18,000 Yen. I remember that pricing in local toy shop was selling around SGD$200. That was one of the most expensive Transformers toy but the scale and quality was awesome. It remain the most popular MP. 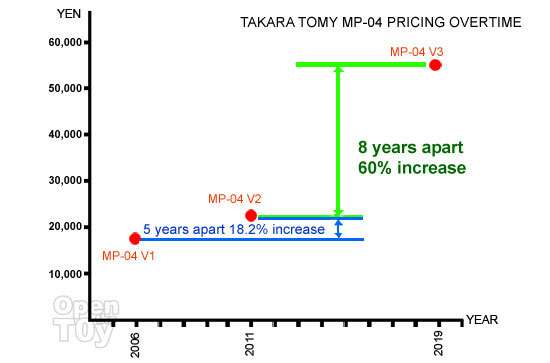 Five years later in 2011, TakaraTomy decided to release an updated version of MP-10 version 2. The price point was at 22,000 Yen. This was a scale down version to make it to scale with other figure in that series. It also include human figure that can fit into the driver seat, a silver Roller service bay and maintenance crane. Many would have thought that this is the ultimate version for Optimus Prime and it seems that way for years. 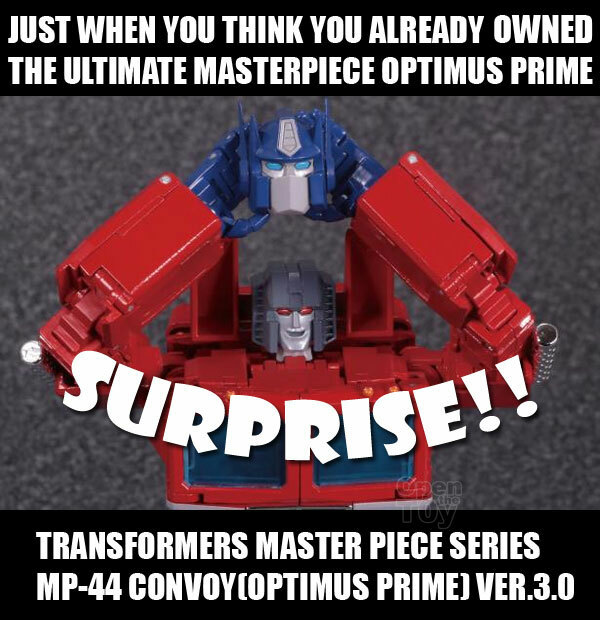 That silence was broken when the news of MP-44 Optimus Prime 3.0 that is schedule to be release in August 2019. 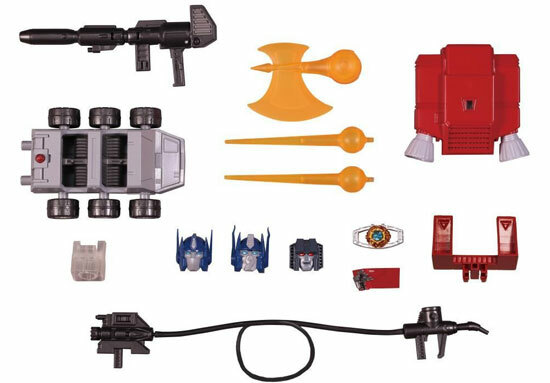 MP-04 Version 3 includes in lot of accessories along with the jet pack, 3 heads and more. However the pricing of this version 3 Optimus Prime with better articulated was priced double of the version 2 making it to be 50,000 Yen!! Since that news broke out, it have mixed reactions from the Transformers toy community such as why the high pricing with just some added accessories? While on the other end, they are some who do not mind the pricing and find that is worth it. Here is a graph for reference of Yen over Time for MP-04. Ultimately what most are concern is the pricing and it's value as we know once the price is accepted, it will hover on that range. Then again there are also instant that stock is not moving and retailer have to lower the pricing to sell it off. But for the toy maker that announce ahead of time to have a feel of the Pre-order, it is more secure in this way as they will know the demand and control the amount of toys to make. The conclusion of it's worth is entirely depend on you as a collector and a consumer. What this post is just to list down the history and share some observation so that we know where we have been and where this would be going. If you find this post is information, share it or comment! Let me know your point of view! I’m stunned by the pricing these days!